In this digital age, I am one who still love the beautiful ways of old. I use an Ipod for music on the go, but for our home, we still buy vinyl records. Our collection spans from the distinct sound of the 80's to current popular music. Why? Simply because compressed digital recording fails in comparison to the rich and warm recording on vinyl . Never mind if it's more challenging to actually handle and play a vinyl record, it's the actual experience of music that makes it worthwhile. I use an Ipad for minor writing, a laptop for blogging, but I still love writing things down. Reaching for a trustee notebook that doesn't need power and using a pen to write things down is so liberating (haha!). 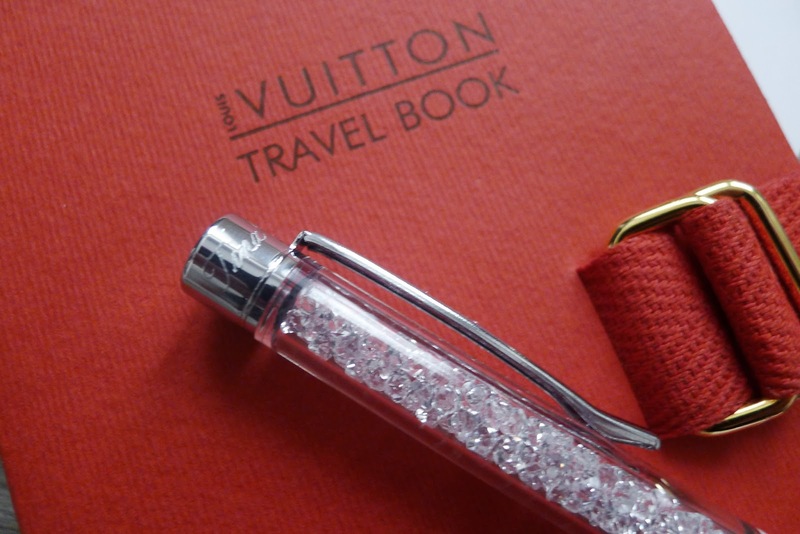 I have written about these beautiful Swarovski crystalline ballpoint pens last year. This year, I finally was able to get myself one. It's simply gorgeous. I love that it writes smoothly and how the crystals shine when light strikes through them. 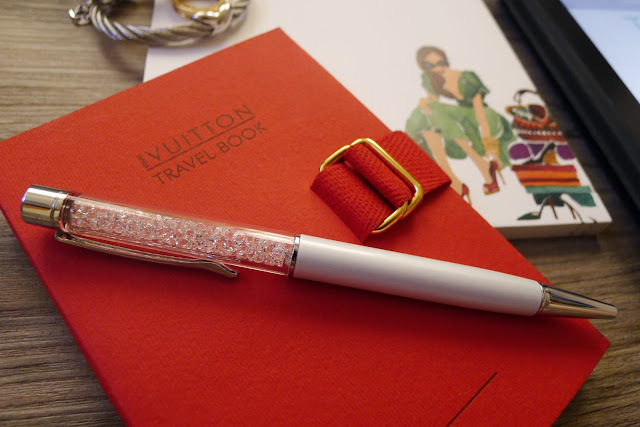 The Swarovski crystalline ballpoint pen (this in white pearl) is filled with 160 sparkling crystals and features the Swarovski brand name at the clip. It comes in a velvet pouch and the refill can also be replaced (refills are exclusively sold at the Swarovski boutique). Since this pen is ultra-special, I had my name engraved on the pen (do ask the Swarovski representative about their engraving services. Rates vary depending on the number of letters to be engraved). 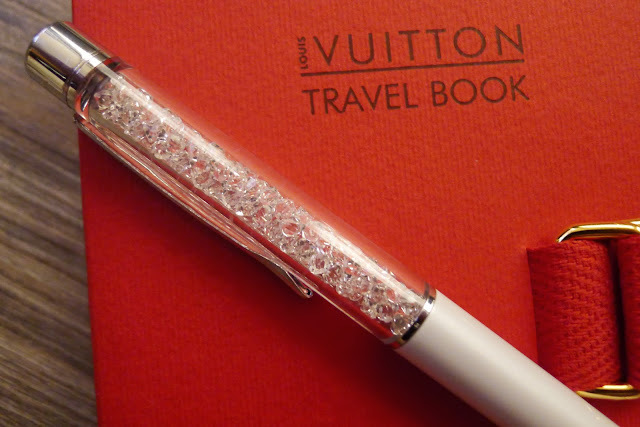 Check out these beautiful pens at the Swarovski boutique in Rustan's Makati.